The air is finally cooling off at night and it’s a wonderful time to be in T-town. And we got two super cool gigs this weekend for you. 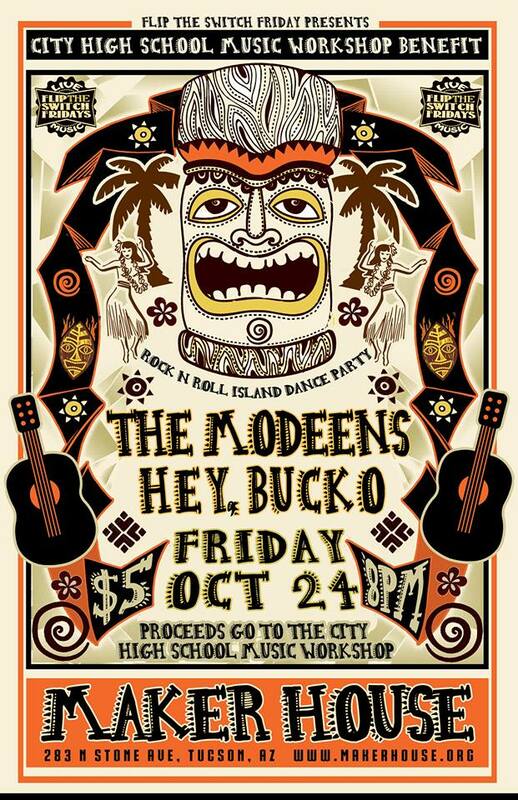 First up on Friday is a rock n roll island dance party at Maker House with spaghetti western bluesters, Hey Bucko. This show’s $5 cover benefits a cool school’s music program. And check out the fab poster by local artist Jimi Giannatti! City High is a small charter high school in the heart of downtown Tucson that is dear to our hearts because of the many outstanding programs they offer their kids as well as the very cool people who teach there. Our friend, Tom Moore, has started an after school music program and they need some equipment. Getting young kids to rock out is important to us, so we’re going to help raise some dough to keep the program groovin’! Open to the community, Maker House hosts widely divergent events from local comic cons to gallery showings to science and technology lecture and now live music. 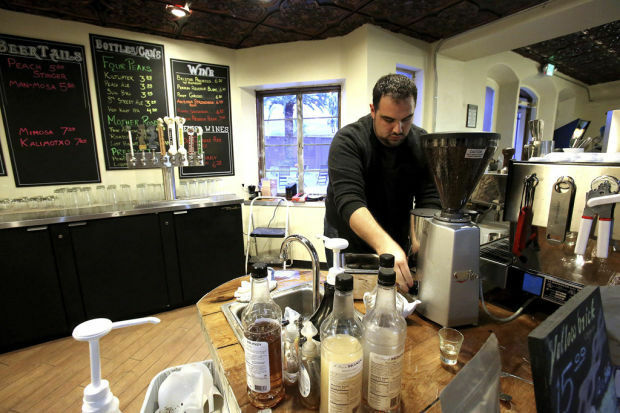 Coffee bar, excellent collection of microbrews and wine on tap and in bottles, plus delicious sandwiches and other cafe fare. Plus the outdoor stage is bookend-ed by two beautiful palm trees in front of a lawn with lots of lights and seating (see a shot from the recent Cardboard Ball below). It’s just a great place to hang. So come hang with us on Friday! 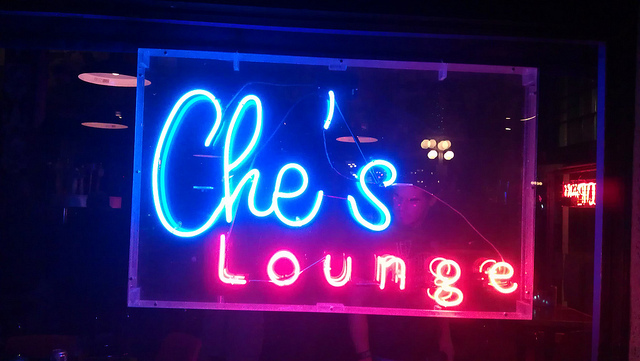 Jamie and I are doing it again – we’re taking our acoustic guitar and bass to the back patio of Che’s Lounge on a Sunday afternoon. 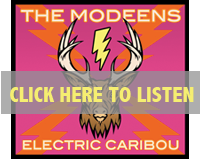 The weather will be divine and the tunes will flow sweet as honey. No cover, great bar and one of the best ways to wind down the weekend.